I am trying to burn an ISO disk and Roxio crashes within minutes of launch of the application. Even if I just launch the application, and do nothing it crashes within a few minutes. I don't even need to try to start the Disk burning process. Is there an update for Windows 10 64 bit? No, NXT3 and NXT3 Pro are tho. Roxio's history a new version usually appears soon (October- November) you might want to wait. I don't think you're seeing that error just because it's Creator 2012 in Windows 10 x64. I've been running mine in Windows 10 x64 for a couple of hours now, and I still haven't managed to break it or find anything that doesn't work, yet. 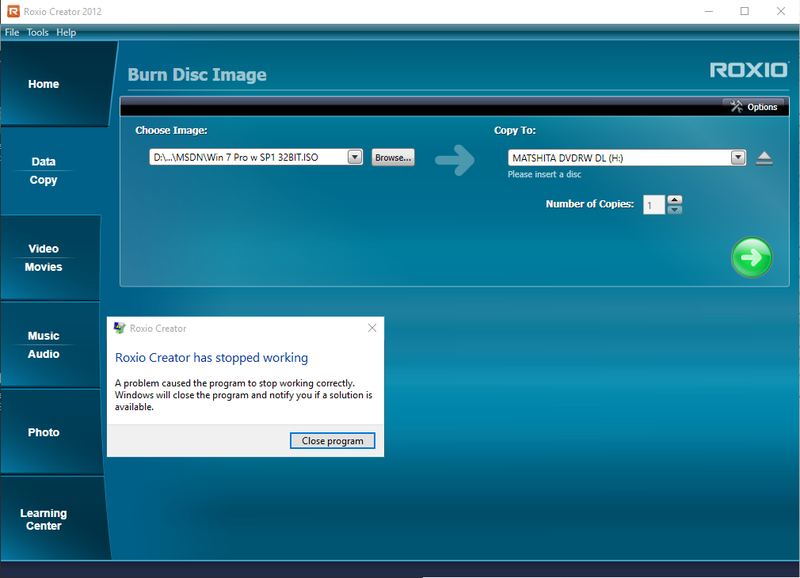 That's the old 'simplified' Sonic module "Burn Disc Image" that you're using. 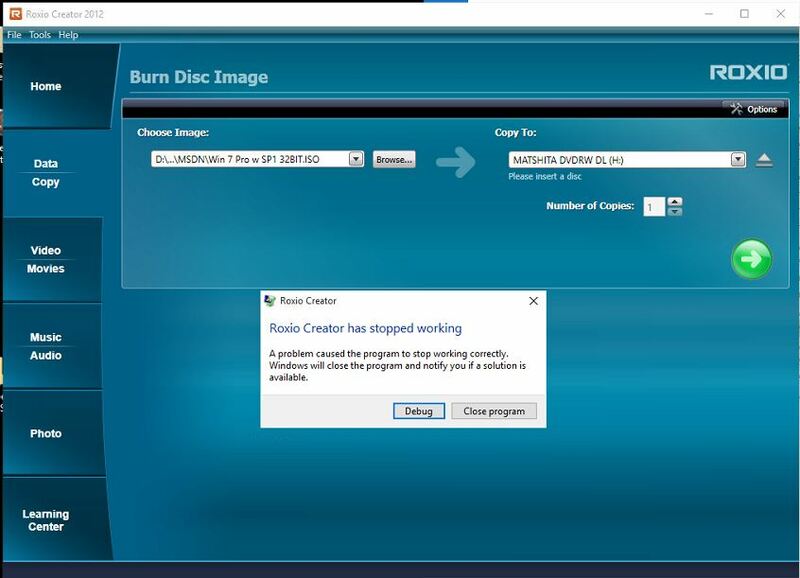 Have you attempted this operation with the tried and trusted "Creator Classic" [burn Data Disc Advanced] program? Other Tasks > Burn from disc image file.